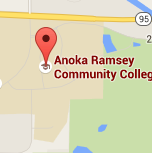 Anoka-Ramsey offers a variety of courses at a number of local high schools. The courses offered often depend on the high school schedule and the availability of credentialed high school partner teachers. Below is a list, by high school, of all courses offered in the current or most recent academic year. 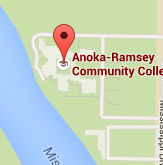 Although these are our commonly offered Concurrent Enrollment courses, Anoka-Ramsey is always open to offering any course that is in the college’s Academic Catalog, provided the teacher is credentialed appropriately and the content of the course can be delivered in the same way it is on campus. If you would like to see a list of all courses offered as Concurrent Enrollment, please view the Concurrent Enrollment Course Offerings. If you would like more detailed information about course objectives and Minnesota Transfer Curriculum goal areas met by each course, please view the Course Descriptions for common course outlines. For specific Prerequisite information, please view the Concurrent Enrollment Courses and Prerequisites. All Concurrent Enrollment students must also be eligible to participate in Concurrent Enrollment. Please visit the Concurrent Enrollment Student Resources page to determine if you’re eligible to participate in Concurrent Enrollment at your school!